Η BMW ανακοίνωσε ακόμη μια ειδική έκδοση για τα 25στα γενέθλια της M3, την Matte Edition η οποία θα πωλείται αποκλειστικά στην Κίνα. Διαθέσιμη μόνο σε μαύρο ή γκρι ματ χρώμα το αυτοκίνητο διαθέτει μαύρα γυαλιστερά διακοσμητικά, κόκκινες δαγκάνες των φρένων και ζάντες 19″. Στο εσωτερικό ξεχωρίζουν τα carbon διακοσμητικά και τα μαύρα δερμάτινα καθίσματα με κόκκινες ραφές. Μηχανικά δεν έχει δεχτεί κάποιες αλλαγές και έτσι ο V8 4.0-λίτρων αποδίδει 420 άλογα με 400 Nm ροπής. Συνδυάζεται με το αυτόματο 7-τάχυτο κιβώτιο διπλού συμπλέκτη που δίνει την δυνατότητα να κάνει τα 0-100 χλμ/ώρα σε 4.6 δευτερόλεπτα με την τελική ταχύτητα να περιορίζεται ηλεκτρονικά στα 250 χλμ/ώρα. 2010, to celebrate the 25th anniversary of the birth of the legendary model M3, the BMW Group were introduced in markets around the world commemorate the M3 cars. In mid-June, the U.S. has created in 12 minutes 30 M3 version of the gray matte finish of the hot-selling book on record. The end of August, the Chinese market listing 30 M3 25 Anniversary Limited Edition model – Tiger Edition also became an instant sold out. Then staged in the country “BMW M Experience Day Legend” is aroused more extraordinary BMW M enthusiasts of sports car driving passion and unique culture, love, personalized version of the more urgent the demand for M3, BMW decided to introduce the Chinese firm Matte Edition models. Compared with the normal M3, M3 Matte version of the appearance of the bright spots are obvious. 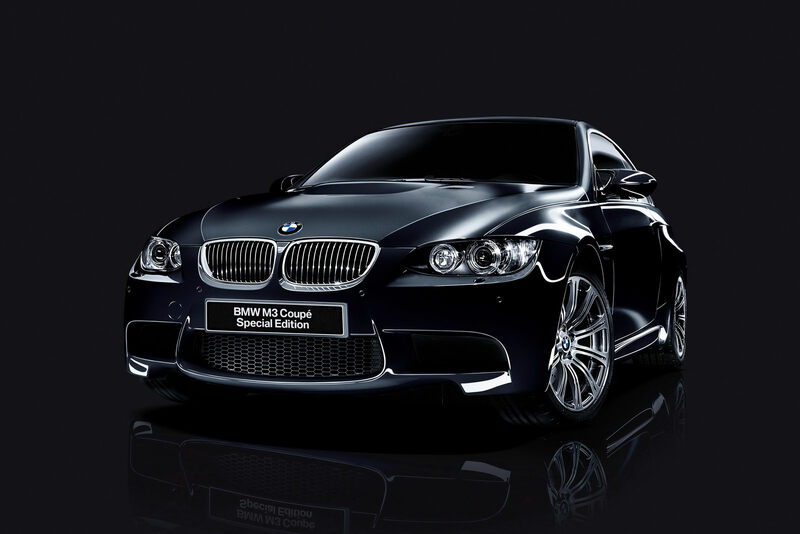 Body color with matte gray or matte version version of black metal paint spraying, in the ordinary metallic paint over the primer coating by adding a special BMW ColorSystem silky matte clear coat. Production process due to sophisticated, matte version of the daily output can only be single digits. 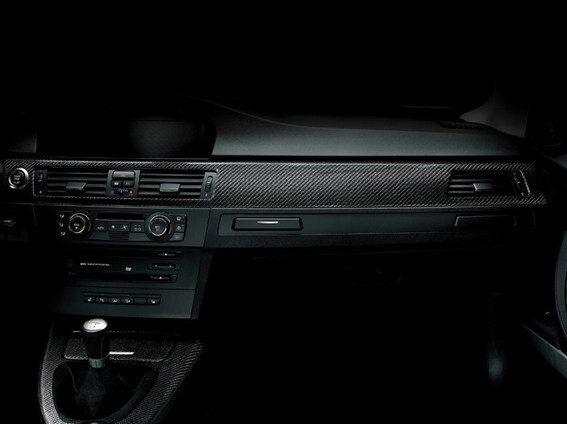 Body diffuse out in the sun a low-key luxury gloss, highlights the M3 Coupé athletes like tight, strong contour. Upgrade 19 “black high-gloss alloy wheels extremely light weight. Black chrome side air intakes and exhaust pipes and vehicle color texture of harmony. Red brake calipers in the car is moving the process but also demonstrates the movement of its DNA. Interior M fans also will not disappoint. M3 Coupe M3 Matte Edition adds general do not have the appearance of the black carbon fiber leather, front and rear seat edge, door armrests are decorated with red stitching. Strong color contrast of the visual impact, I believe M fans can bring the greatest degree of movement experience. In power, BMW M3 Coupé scrub naturally aspirated V8 version with high-speed engine, typical of BMW M tradition of high-speed engine concept, the development of a direct reference Formula One technology and experience. 3,999 cc engine displacement, the engine speed is 8,300 rev / time-sharing maximum output power of 309 kilowatts / 420 horsepower; in the engine speed is 3,900 rev / time-sharing to achieve maximum torque of 400 Newton meters. Hundred kilometers in just 4.6 seconds. Transmission system is designed for high-speed power unit developed Drivelogic 7-speed dual clutch transmission, shift more direct, precise, power output without the slightest delay and disruption. BMW M3 Matte version of the EDC damping control system, able to provide the best personalized vehicle suspension tuned into sports, normal and comfortable three models, which model called the unique selling point. BMW M3 Coupe frosted version of high-strength lightweight structure, lightweight suspension as a supplement, vehicles equipped with power steering can be adjusted according to the speed Servotronic power steering, ventilated brake discs all-high-performance system dynamic systems and the latest generation of Dynamic Stability Control (DSC). Love sports-style driver can also M Drive system and electronic damping control (EDC), personalized settings for dynamic driving control parameters. Family in the BMW M, M3 bright star is well deserved. BMW M3 is more than just a car, it is a brand of faith, honor and development process in miniature. BMW M3 first came in 1985, after four generations of innovation, two-door coupe, convertible coupe, sedan, GTR and other models followed. Performance data with each passing day, the only constant is 25 years, BMW M3 on the relentless pursuit of excellence. BMW M3 is recognized in any case able to express and impart enthusiasm for the ideal high-performance cars, is to emphasize the unique philosophy of the letter M the perfect expression.